Peppermint is a lively variety, with tall, stately stalks striped pink-and-white on the exterior and colored a deep, intense shade of fuchsia on the interior. The leaves are lush as well, creating a gorgeous effect, particularly in the winter garden or container. 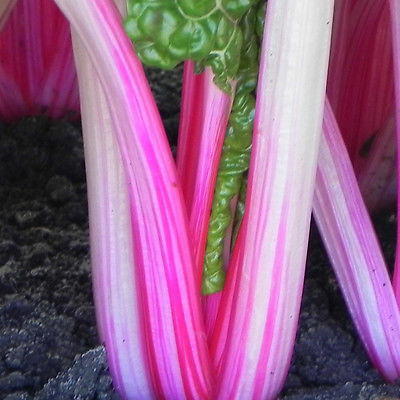 Swiss Chard is a splendid addition to salad, and keeps its pink tones even if lightly steamed. It goes well in cold-weather soups, stews, and casseroles.